This skin in a modified version of the skin Glow. Still the same simple and clean look but in black. 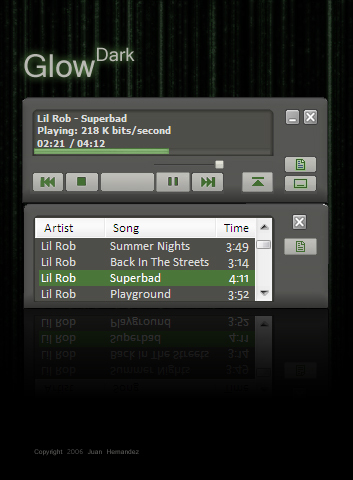 It sill has the playlist and all the basic buttons: Play/Pause, Stop, Next Track, Previous Track. I did make this as I did recieve many request for a black or dark version.